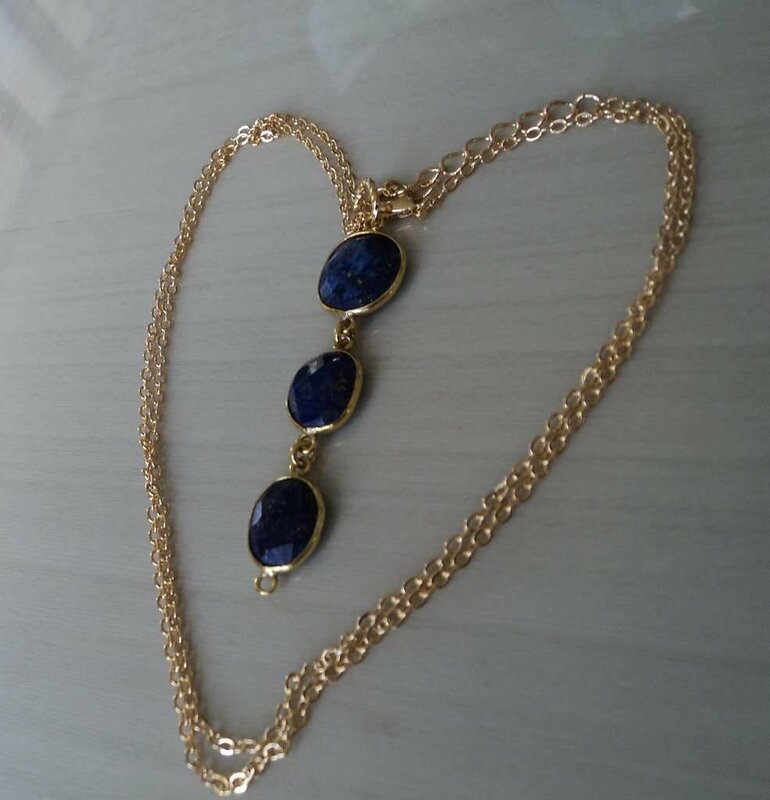 This pendant has 3 Lapis Lazuli gems framed in Gold Plated Brass and comes with an adjustable 24 inch gold plated brass chain. Packaged in a stunning gift box. providing qualities of honesty, compassion and morality to the personality. Stimulates objectivity, clarity and encourages creativity. Lapis Lazuli assists to confront and speak one’s truth and inspires confidence. It bonds relationships, aiding in expression of feelings and emotions.